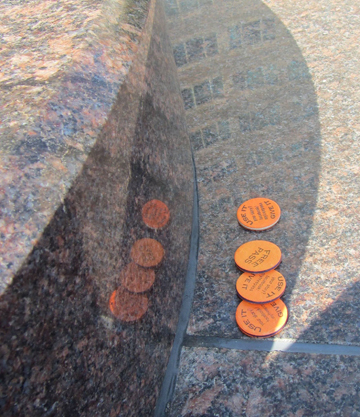 “I obtained a bunch of tokens and did random drops in the Washington DC area while on a trip. I am shy and random drops are the easiest way for me to distribute them. I enjoyed leaving them on subway platforms, on park benches, and in my hotel room for the next guest.” Emily B.